Manufacturer of HDPE corrugated drainage tubing and fittings. Site has a specialty calculator for determining amount of pipe required for an ag drainage job. SiteBook Francesville City Portrait of Francesville in Indiana. 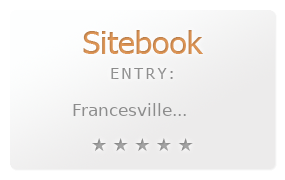 This Topic site Francesville got a rating of 3 SiteBook.org Points according to the views of this profile site.